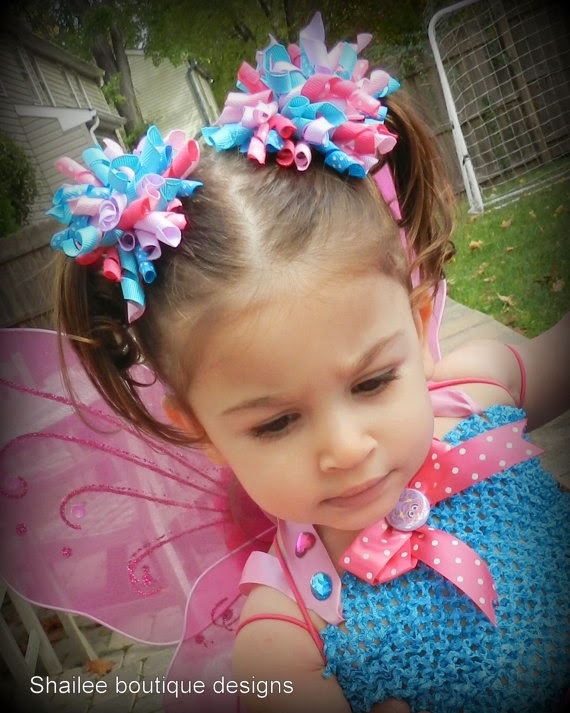 Having two granddaughters, I am always on the look out for pretty objects to adorn their lovely angelic hair. 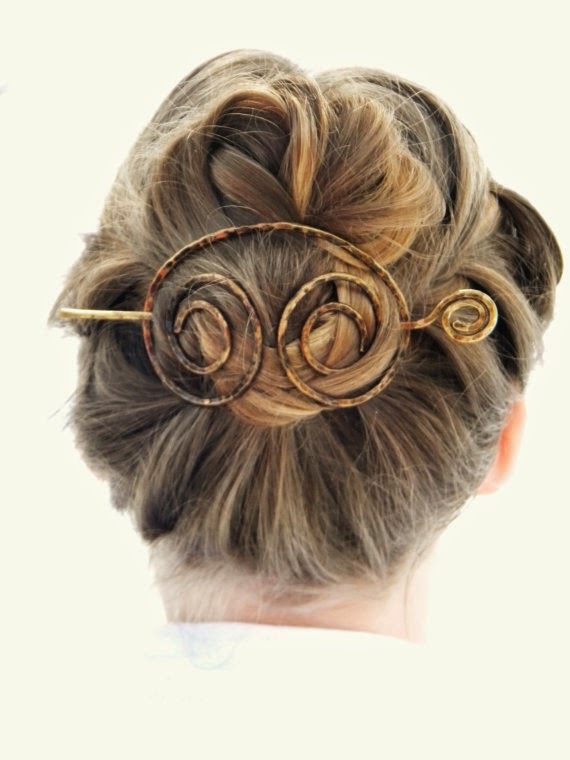 The Etsy hair fashion boutiques and shops are exactly the place to look if your wanting uniquely different. How sweet are these? Korker clips to hold those sweet pony tails, or to hold the angel hair away from the wee one's eyes, simply adorable. I spied these at Shailee Boutique my goodness these are so cute! These would look affordable and would really be cute on my youngest granddaughter..
You and I know which event is up next for the little ones in our families, Halloween of course! This is the day for donning costumes, believing in goblins and ghosties and trick or treating. The handmade clips for the hair to represent that special day for children who just love dressing up in costumes, trading treats for Halloween at school, and making the long trek at dark to knock on neighborhood doors for those tantalizing treats. Halloween is about the only time of year when an extra piece of candy might be more than permissible..... 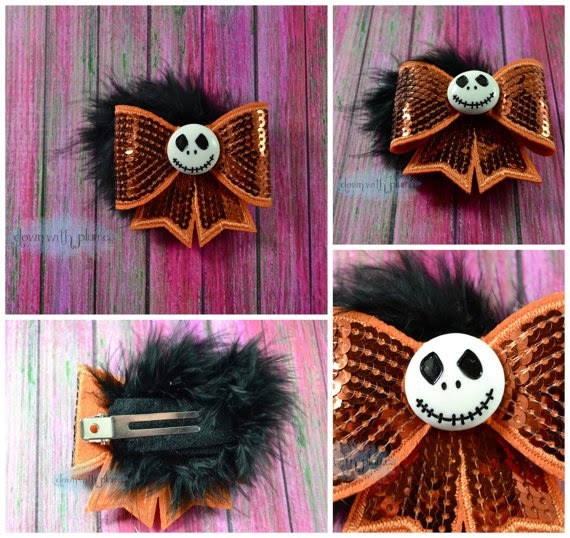 These Halloween hair accessories are so cute! I just know my older granddaughter loves celebrating Halloween and this would be perfect for her long tresses....and the children just love them! This adorable little Halloween goblin comes from Down With Plumes. Take a look at this absolutely beautiful bow! 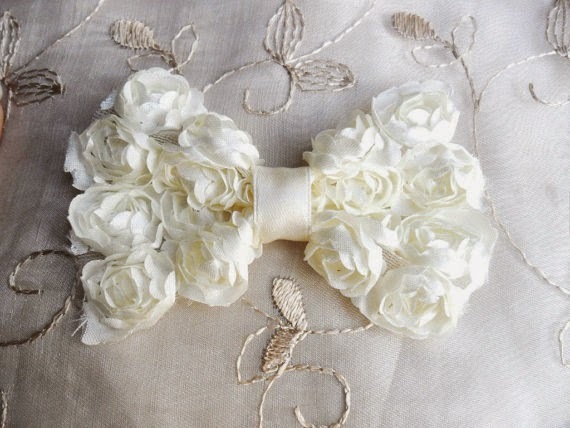 Perfect for a Bride or for Bridesmaids or Sweet Angelic faced Flower Girls! Handmade through Lamore Boutique just for that most special of all days, the Wedding when all eyes are first and foremost on the Bride and then to the Women of the bridal party....this really is an elegant hair adornment. For those who have gorgeous long locks, there are so many different ways to style your hair. I remember my long hair and how very much I loved different clips and hair brooches to offset my latest hair do. Whether I put my hair up or wore it long, braided or wound, even with a hair piece to enhance the do, a special piece of hair jewelry was always needed, in my humble opinion. These copper hair slides are just the right accessory for adorning that favorite do and not only will they look great in your hair, but these are handmade and copper will enhance or go with any ensemble your wearing, in other words these will fit right in! Hand made from Elizabella Design and with beautiful hair slides like these your hair do is bound to be the main attraction...there are so many stunning hand made hair slides, it would be difficult to choose but one. I believe it may become time for this granny to allow her hair to become longer just so she might have any number of these hair slides in her gray hair locks, my granddaughters would be thrilled if I wore these.